As California Senate boss, Darrell Steinberg compiled quite a record of abuse and waste. In 2012, for example, he killed the California Channel’s live broadcast of hearings on four ballot measures dealing with taxes and spending, depriving voters of vital information. He compounded this censorship by claiming: “I pride myself on being open and transparent.” He wasn’t. Steinberg was also the author of Proposition 63, a 2004 measure that levied a surtax of 1 percent on multimillionaires, ostensibly to fund mental-health services. The measure raised some $7.4 billion but with “virtually no oversight or accountability” as to how the money would be spent, as UC law professor Barry Krisberg observed, so it was like “putting money on the stump and running.” The Sacramento Bee wondered if the billions had been “shoved down a rat hole never to been seen again?” That indeed seems to be the case. Steinberg is now termed out, but his successor Kevin de Leon shows every sign of being the same as the old boss. Last year his handlers spent $50,000 on a lavish “Inauguration” and put it up on YouTube. As Don Thompson noted in the San Jose Mercury News, the event used “language usually reserved for presidents and governors.” The Sacramento Bee observed that this “wasn’t a party for the people.” Rather, “this was the Special Interests Ball.” The glitzy fest came during a year when two senators were charged in federal corruption cases and another sentenced to jail for perjury. 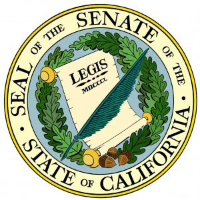 The new Senate boss shows no inclination to tackle the waste, fraud, and abuse that abounds in California government. He has set forth no plan to trim California’s bloated bureaucracies, nor to reduce Californians’ heavy tax burden, which now includes a new tax on gasoline. So taxpayers may be worse off than under the old boss.